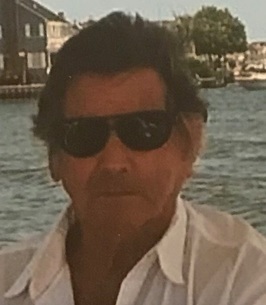 "My deepest condolences to the family for his passing.we shared a lot in common.We were both sons of docs.We loved cars boats motorcycles..."
J. Michael Lepree, 73 of Point Pleasant passed away on Saturday October 27, 2018 with his loving family by his side. Mike was born and raised in Elizabeth, NJ and summered at Sea Girt. He graduated from Delbarton High School and from Fairleigh Dickinson University. Mike was the owner and operator of Kawasaki Wheel House in Point Pleasant Beach for many years. He had also worked for Johnson Brothers Boat Works, Bimini Marine and Circle BMW. Mike thoroughly enjoyed being on the water boating, riding his Harley Davidson and was a Master Horse Trainer. He was the go-to person when it came to anything mechanical. He loved all animals, he was fun loving, high spirited in nature and always ready to have a good time. Mike was predeceased by his parents Dr. Joseph Lepree and Eileen (nee Lyons) Lepree. He is survived by his loving son and daughter-in-law Ryan and Rhianon Lepree of Point Pleasant Boro, his cherished grandchildren Reagan and Reese and the love of his life MaryAnn Reiner of Jackson. Mike is also survived by a brother and sister-in-law Brian and Barbara Lepree of Tiger,Georgia and a sister and her husband Gayle and Roger Legg of Coatsville, PA.
Family and friends are invited to attend a memorial visitation on Friday November 2, 2018 from 2-5 pm at Orender Family Home for Funerals 2643 Old Bridge Road, Manasquan. A funeral service will be held 4:30 pm on Friday November 2, 2018 at the funeral home. In lieu of flowers memorial donations may be made to St. Jude Children’s Research Hospital PO Box 1000 Dept 142 Memphis, TN 38101. To send condolences to the family please visit www.orenderfamilyhome.com. To send flowers to the family of J. Michael Lepree, please visit our Heartfelt Sympathies Store. We encourage you to share any memorable photos or stories about J.. All tributes placed on and purchased through this memorial website will remain on in perpetuity for future generations. We will surely miss Mike, as the neighborhood lost a real neighbor as mike was always so positive and up for good conversation. In memory of a life so beautifully lived. We will especially miss Mike's wonderful sense of humor. From the moment he met me and Joe he treated us as family and I'll never forget the first Christmas he spent with our family and he brought his homemade cherry bombs (I believe they are cherries soaked in grain alcohol) with a big smile he offered me one. I took it and immediately spit it out. He just laughed cause he knew it would be too strong for me. Again always loving life. My deepest condolences to the family for his passing.we shared a lot in common.We were both sons of docs.We loved cars boats motorcycles or almost anything mechanical.Mike was handsome, rugged and intelligent.He loved life and new how to easily find the humor in it.He was a breath of fresh air because he never was too impressed with himself.I will miss him.I get a sadness in the pit of my stomach when I see the empty lot and the house boat there. A living tribute to a beautiful and generous spirit. May this tree grow and blossom in his memory. Joey & Cynthia , Krystle & Brian - Wednesday October 31, 2018 via Memorial Tree | Plant a tree in memory of J. Deepest sympathy to the Lepree family on your loss. Mike was one of our longtime neighbors who was always willing to help out if needed. He dealth with his illness with a positive outlook. May his soul rest in peace. The Olsen Family.